ATV Manufacturers do their best to make a great vehicle for on and off-road use, but it’s often not enough for the average rider. We want more. More features, more capability and more comfort. 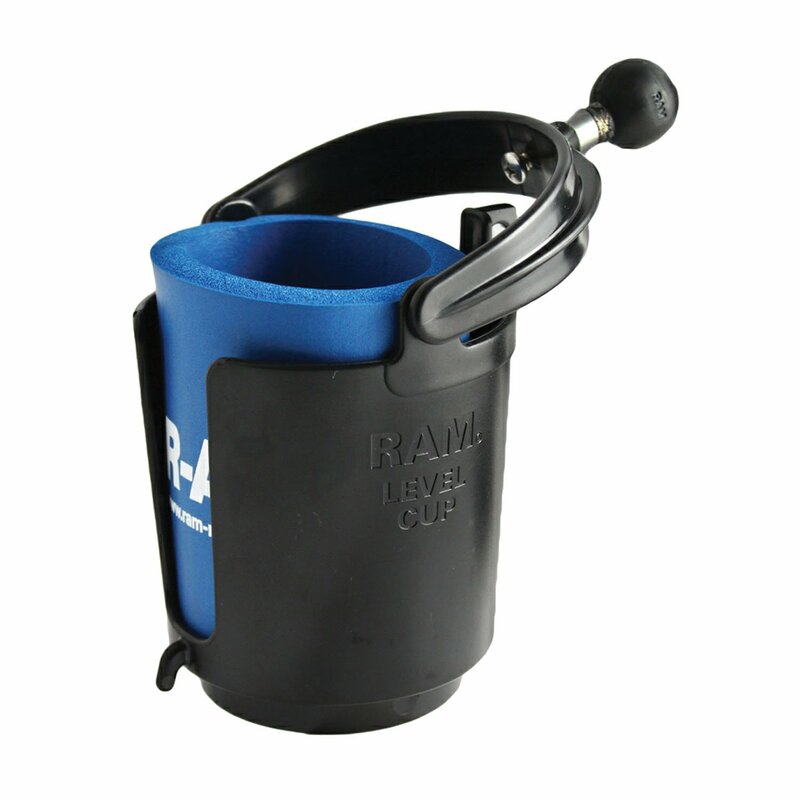 To fuel our wants, the ATV Accessory market has grown exponentially over the past decade to provide products ranging from cup holders that keep your beverage cold to winches that keep your quad upright. 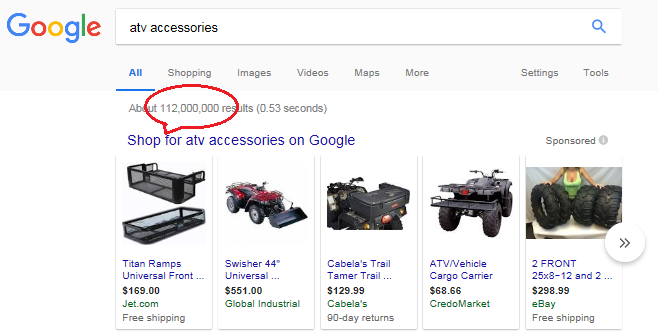 A quick search on Google (today is 6/13/2018) for “ATV Accessories” found 112 MILLION results. While that is a testament to the fact that the accessories market is quite large, is also shows that it can be very difficult to find exactly what you want. We strive to make that search a bit simpler with a list of 21 of the Best ATV Accessories, which took years of firsthand experience to develop. We organized the list by category: Capability and Comfort. You can skip directly to the section that interests you the most using the table of contents below or just read the whole article! If we missed an accessory you would like to see reviewed, click this link to jump to our contact page and submit your suggestion. Below is a list of ATV accessories that will improve the comfort of the fourwheeler. They are organized alphabetically and I included a link to my favorite model of each. Sometimes, the space on your ATV or UTV isn’t enough. You piled up the tools on the front and back of your ATV but need somewhere to put the beer cooler. What do you do? Do you leave it behind? NO. You use a Cargo Carrier! If you have a trailer hitch on your ATV, you can use a cargo carrier (similar to what you see on the back of SUVs) to carry any extra items you need. An ATV Cargo Carrier is sized smaller so that it fits the space behind your vehicle without sticking out on either side (I once tried to add a Jeep Cargo Carrier behind my ATV and it stuck out way to far on either side). 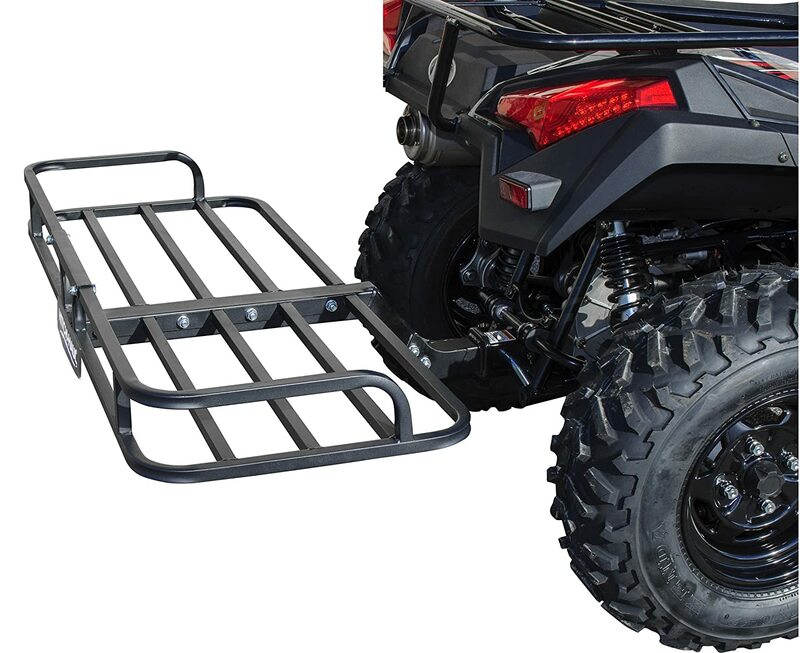 Given that utility vehicles sit lower than cars, the ATV cargo carrier usually comes with an curved bar to give the additional rise needed to keep the carrier from hitting the ground when weight is added. Here are our two favorite model ATV carriers. If you’re like me, your wife won’t let you keep the ATV in the garage. She said it smells like gas. I think it smells like freedom! Either way, if you have to keep it outside in the elements, you need to at least keep it protected. The three things you need to worry about most are sun, rain and snow. Depending on where you live, the order of these dangers may change. The sun beating on your plastics all day long will cause them to fade. Rain and snow can cause electrical problems and mold to form. 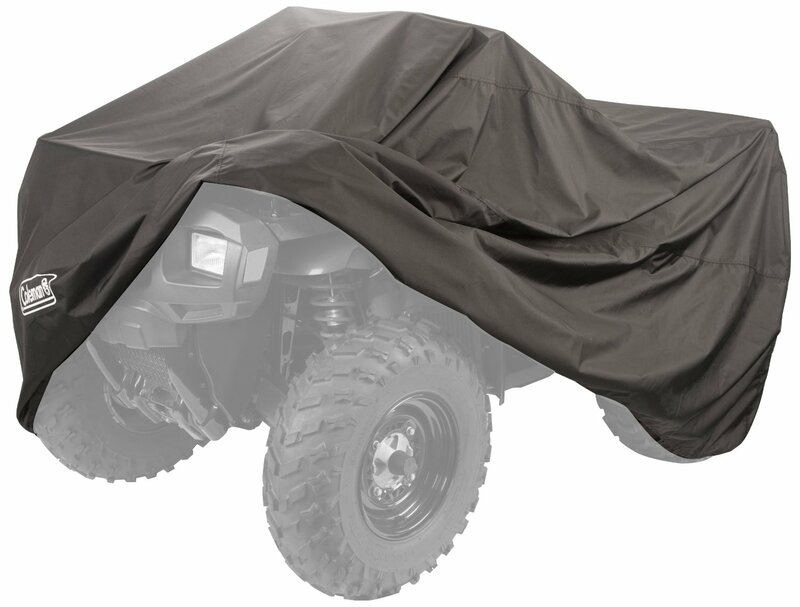 A quality ATV cover is the easiest fix to this problem, and only sets you back between $25-$50. You can read more about the Best ATV Covers in my review or see our favorites on Amazon below. If you like beer (I mean soda) and you like riding your four wheeler, then you need a cup holder to do both at the same time. With only two hands, this is a must because riding with one hand is difficult and riding with no hands is just plain dangerous. Most cup holders are simple in design and mount to your handle bars using a round clamp and thumb screw. Depending on your ATV, you may be able to find a model specific cup holder but the options are pretty limited. If you have a large produced model like a Grizzly or Rancher, you have a few to choose from. I, however prefer a universal one because it allows me to customize the position on the handlebars or move it to the front or rear rack when I am not riding. Below is my favorite option. When it’s cold outside, it is downright brutal to drive around on your ATV without something covering your face. That cold air will burn when you are driving through it at 40, 30, 20 or even 10 mph. Similar to the pain of getting slung with dirt when riding behind a buddy in the sand. The easiest solution to both of these problems is to wear a mask to keep your face protected from the elements and warm. 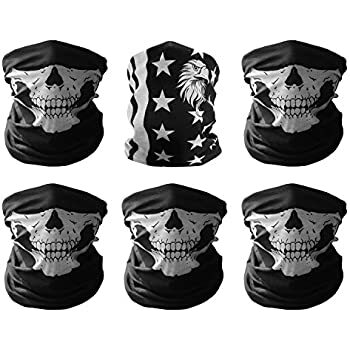 Long gone are the days of simple black ski masks or bandanas though. Now-a-days you can get a face mask specifically designed for ATV riding that is breathable, repels sand and moisture, AND looks great. At only a few bucks, there really is no reason to use something else. Here is my favorite. Squinting while driving looks super cool. Wait no it doesn’t. I wear contacts so when I drive at high speed, the air dries my eyes and I can’t see very well. Since more than 1/3 of the world’s population wears glasses or contacts, it’s safe to say this problem plagues more than just me. If you are driving in a dry environment with sand or loose dirt, you also run the risk of getting it in your eyes. Sure, your can wear your glasses or sunglasses to protect some of the wind and debris, but it’s not perfect. 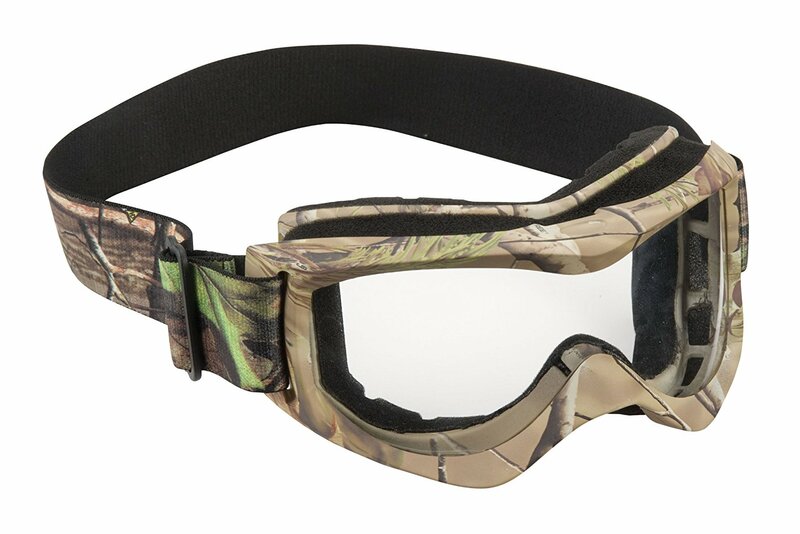 Your best option is a pair of ATV goggles. Here are my favorites. You have limited options for carrying items on your ATV that you don’t want to get wet or to keep private. Most ATV’s have space under the seat (unless you have a racing quad) and maybe a waterproof container in the fender (like most Grizzlys). But what do you do if you need more space? The answer is simple! You use a Cargo Pack which sits on your rear rack. The other advantage of a rear pack is the extra seat it provides to another rider. The padded bottom seat is comfortable (better than riding on the rack directly) and provides a nice back rest. You can see our favorite ATV Packs down below. You need two hands to ride an ATV, regardless if you have a manual or automatic transmission. So holding something in one of your hands while driving is a bad idea and is likely to lead to an accident. We are all connected these days by a cellphone so it is tempting to text or call and ride. This is dangerous and often illegal. 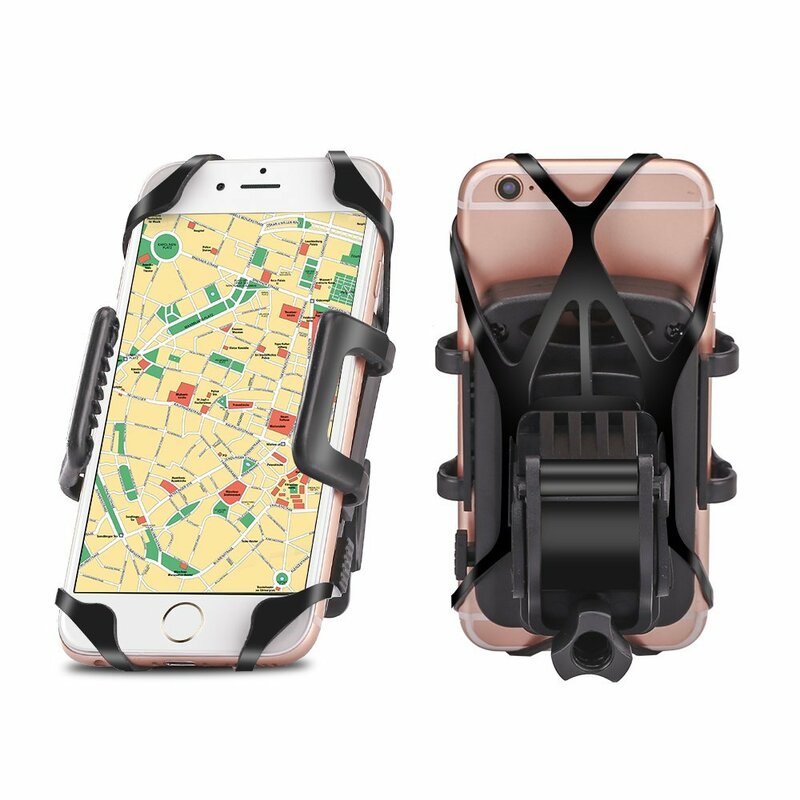 To fix this, you can install a phone mount on your four wheeler which will act as a third hand, holding your phone steady. This is a great idea if you are using your phone as a GPS device or a speedometer. I also warm readers however about the quality of a phone mount. There are a lot of cheap options out there that could work, but often don’t hold up to the abuse an ATV takes. Below are my favorite options. When you have a bunch of loose items you carry on your ATV, you’re basically limited to two options on a stock set up: your dry box under the seat or strapping it down to your racks. A saddle bag comes in handy to provide additional storage options that is secure and waterproof. There are a few different styles, including tank and fender mounted saddle bags. The tank bag hangs over the tank on either side with a cut out for the gas cap. 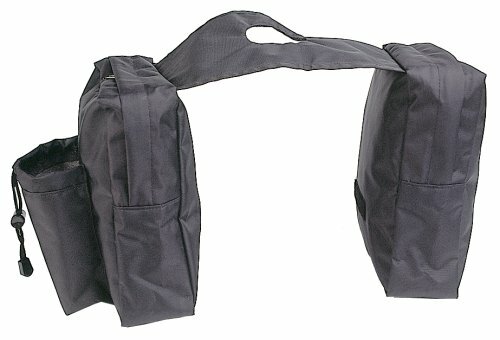 The fender saddle bags strap to the front rack and hang along the front fenders of your ATV. Both options can significantly increase your carry capacity and are ideal for hunting or camping trips. Here are my favorite options. 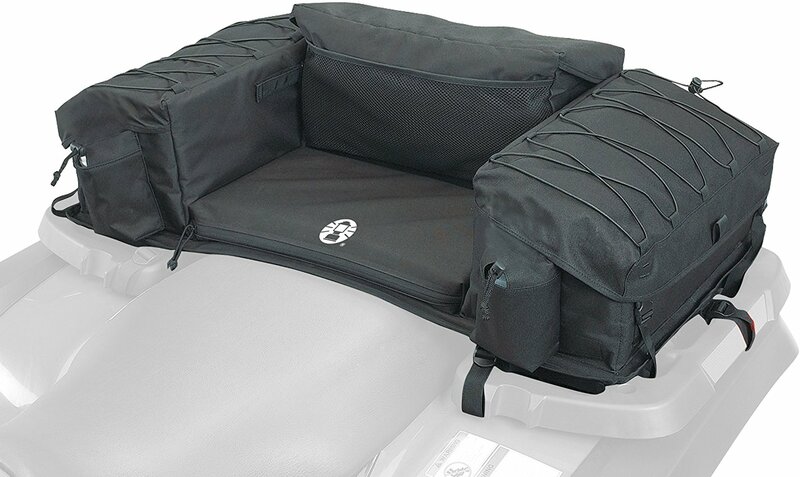 Seat covers are generally used in three circumstances: you have a nice seat you want to protect, you have a damaged seat you want to hide, or you just want more cushion for your behind. Whatever your reason, seat covers aren’t used enough in my opinion. It’s cheap insurance from your ATV and can increase the comfort of your ride significantly, like a new pair of shocks (only cheaper). Covers typically come in two styles, padded or non-padded. The latter is used when you just want to protect or hide your seat. The padded style is best for riders with back issues, and helps absorb some of the bumps you will experience while riding. You can check out some of my favorites below. From the sound of the mud tires on the road, to the drone of an exhaust pipe, ATVs are by no means quiet. In fact, the volume of an ATVcan exceed 100 decibels which is comparable to a plane take off. Most headphones are capable of output volumes above 100 decibels, which allow you to hear the music but also cut you off from the road around you. If you are an avid rider, I suggest you consider a Sound System or Speaker Tube for listening while riding. 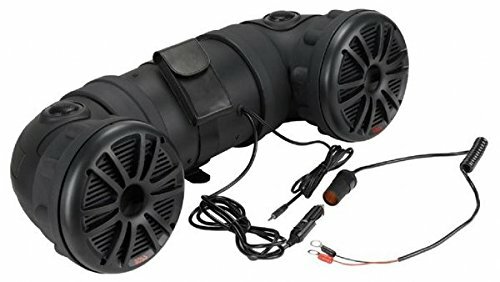 It gives you enough volume to listen while riding, but is also perfect when you want to park the ATV and keep the tunes playing. It likes a car stereo within a 2 foot tube. Take a look at our favorite models below. 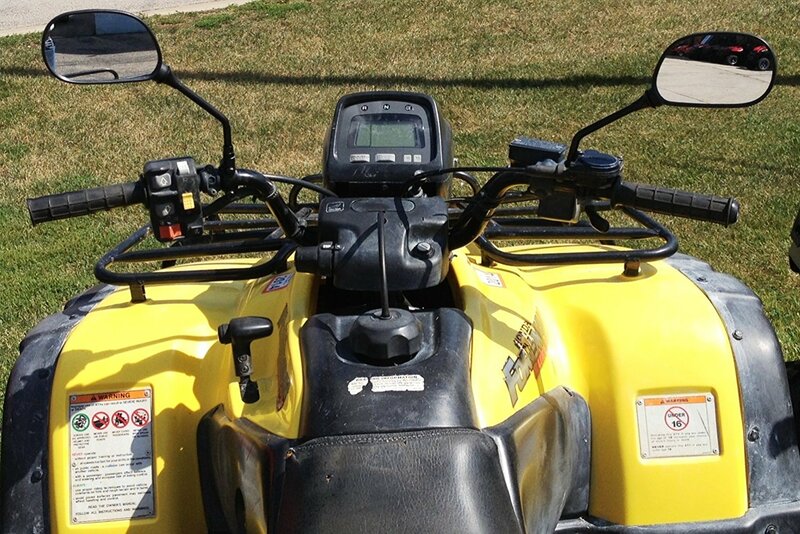 The throttle control for most ATVs is on the right side of the handle bars, below the grip. It is controlled by your thumb, pushing and releasing the control to speed up or slow down. The throttle control is pretty small, usually only about 1/2 inch tall and 1 inch long. It doesn’t cater to all size hands (children particularly). It also requires constant pressure to keep the ATV moving which can cause hand fatigue. To make the thumb control larger and less tiresome, you can use a thumb assist which increases the size to about 1 inch tall and 2 inches long, and provides extra leverage for easier usage. 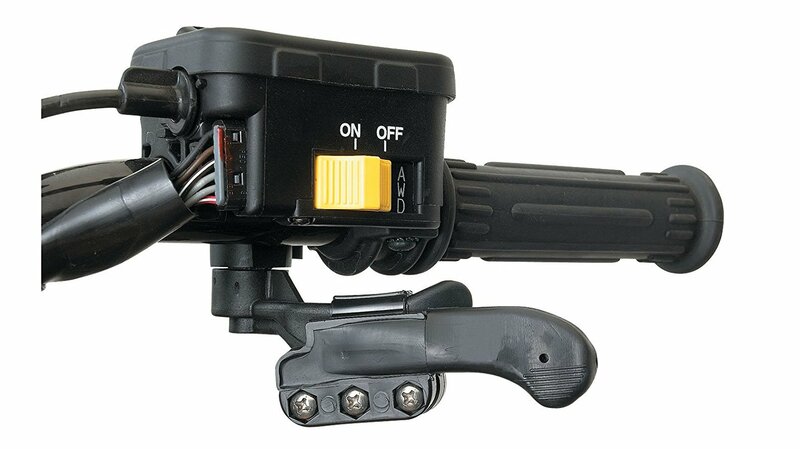 Most models are universal and can be used on any ATV, screwing over the existing throttle control and can be removed easily. Below are my favorite options. Below is a list of ATV accessories that will improve the capability of the fourwheeler and the driver. They are organized alphabetically and I included a link to my favorite model of each. 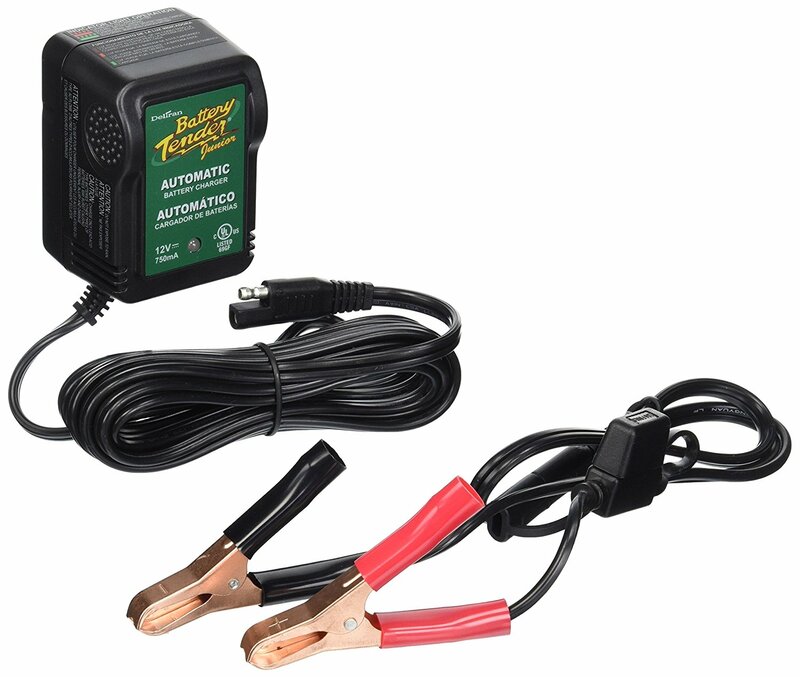 Every ATV owner should have a spare battery charger in their garage or shed. I can’t even count the number of times my battery has died on two hands, and you will inevitably experience the same issue eventually. When it happens you can pull start the ATV, but it’s going to take extensive idling or a long ride to recharge the battery. The easier option is to just hook up your battery charger/battery tender to the dead battery and let it charge while you do something else. It really is a lazy man’s best friend. If you own a utility ATV, it’s more than likely you will be doing some hunting. If this is true, you don’t want to be driving around the woods with your shotgun or rifle bouncing around your back or sliding around one of your cargo racks. It can damage the gun or worse, misfire and injury someone. A simple solution is to use a gun rack which will hold your gun in place as you drive. They use simple physics to hold he gun in place with rubber grips which also double as a vibration reducer. For the relatively cheap price ($20-$40) they are a great investment for even the amateur hunter. 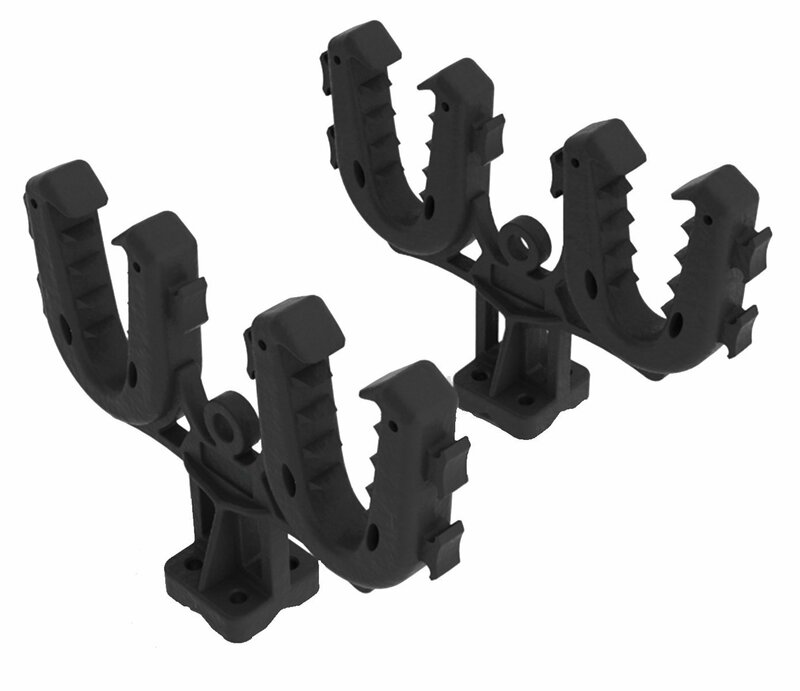 You can see a detailed review of the Best ATV Gun Racks by checking out our reviews. Below is a short version of our favorite option. Hunting season in Georgia lasts September to January, depending on the type of hunting you do. It gets cold when you’re driving out to your deer stand at 5am. At times it can be pretty unbearable and were not even that far north. You can wear gloves but your hands are likely to still be cold with the air rushing over them. You can get hand warmers from your local convenience store, but they’re bound to get cold by the time you’re riding back home. 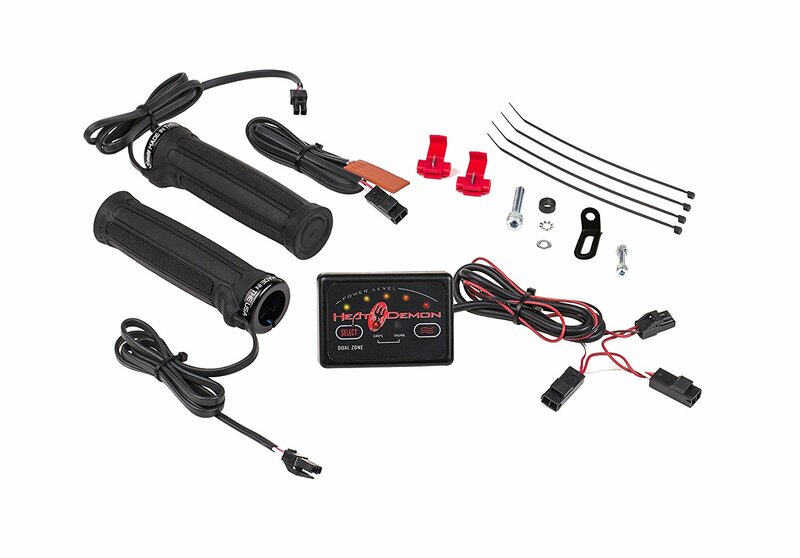 The most permanent and my favorite option is a quality set of heated grips that will warm you up at a flip of a switch. Probably only necessary if you ride a lot in the winter, because these grips will set you back between $50-$150, but a sound investment if you keep good care of them and only install during the cold months. Here is a list of our favorites. Most ATVs come stock with headlights to help light up the road or trail in front of you, but most do a poor job of doing so. ATV manufacturers use thin gauge wire which limits the power that can be pulled by the bulbs. Worse, they use old housing technology to direct the beam at the ground which leave many obstructions in the distance and to the side of the quad unseen. To fix this many riders purchase a LED light bar to pick up the slack where the stock headlights fall behind. The output of LEDs are generally much higher than their halogen counterpoints with less power required, which makes them ideal for vehicles with small batteries and alternators. 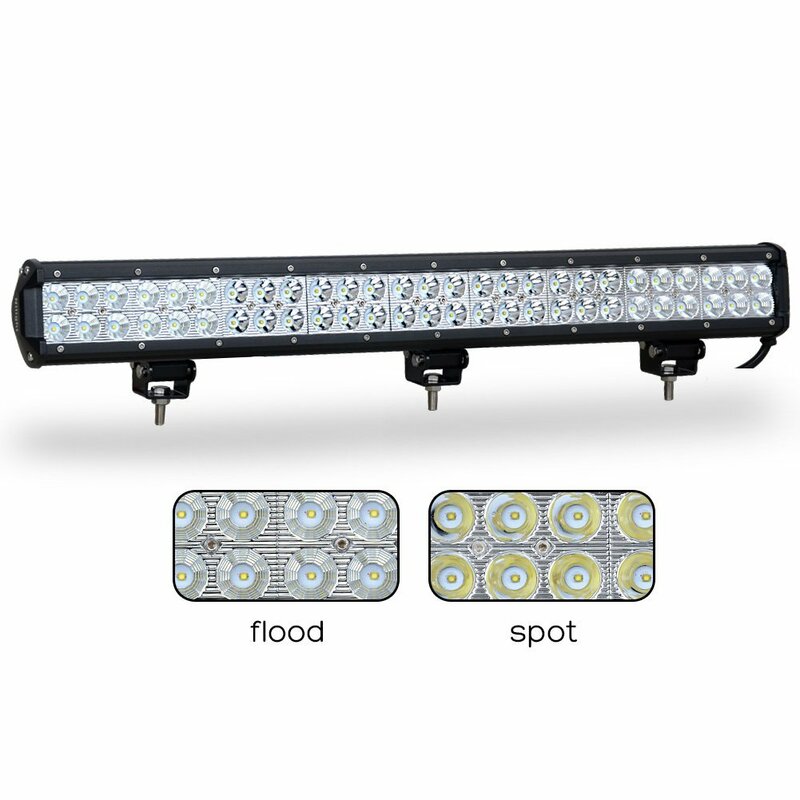 These lights bars often come in one of three focal points: Flood, Spot or a combination of both. Depending on your current set up, each focal option will have an advantage over the others. Flood beams will do great in the foreground, while spot beams will give you distance. These light bars also come in a variety of sizes from 2″ to 50″+, making them ideal for almost any set up you are considering. You can see more of our favorite LED light bars on our in-depth review page, and we also include our favorite below. Unless you have a yard trailer, loading your ATV into the back of your truck is a huge hassle. Back in the day, I backed the truck up to a hillside, dropped the tailgate, and then lifted the front of the quad onto the tailgate and pushing the rest. This killed my back for a few years until I finally gave in and purchased a quality set of ATV Loading Ramps. Now I refuse to do it any other way. I literally will keep them in the back of my truck just so I can’t forget them at home. 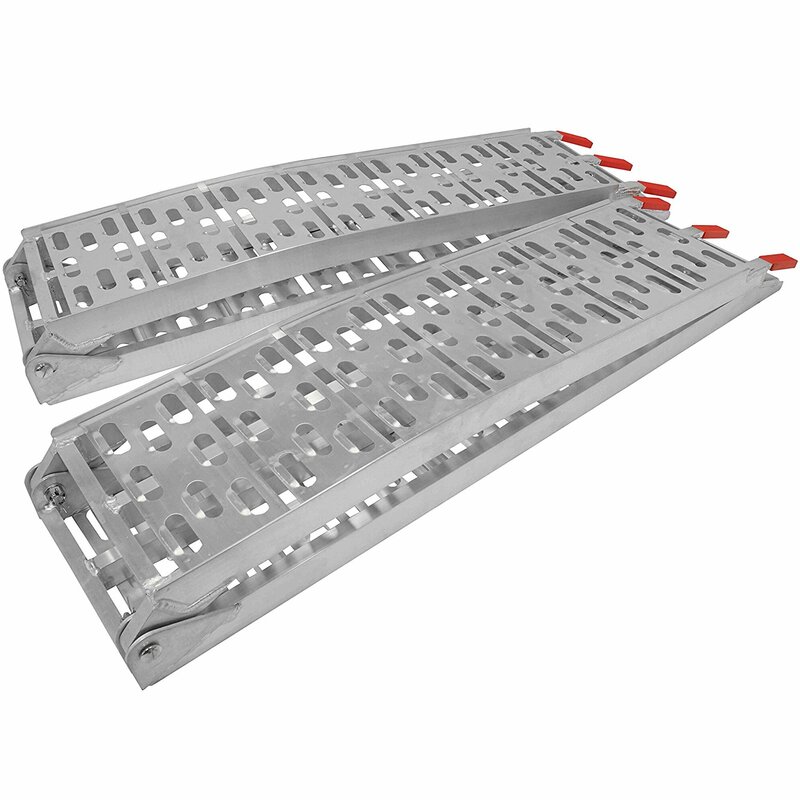 A good pair of ramps will vary depending on the height of your truck bed or trailer, but should easy manage the wet weight of your ATV plus yourself. Here are a few my favorites. Most ATVs don’t come with any type of rear view mirrors. The idea being that if you want to back up or look behind you, you could just turn your head around. The problem is that takes time and effort while a set of rear view mirrors could make your life a whole lot easier. It can also be dangerous to turn around while driving 20+ MPH in the woods. Aftermarket mirrors attach to the handle bars on an ATV using a simple clamp making them easy to install and remove. I’ll be honest that I’ve never owned a pair, but I’ve had the pleasure of speaking with a few of my reader’s that swear by them. You can see more ATV Mirrors below. A few years ago I bought a Yamaha Warrior which I intended to fix up and race. I was having trouble with the 6th gear and couldn’t tell if it was engaging properly. I knew a stock Warrior top speed but the ATV didn’t come with a speedometer so I couldn’t tell how fast I was actually going. There were a few options to fix my problem including a bike speedometer, a phone speedometer app, or a Trailtech speedometer. I went with the Trailtech. The speedometer was a great addition to the ATV because of the other features including an odometer, and tachometer. If you opt for a bike speedometer for your ATV, it works by reading the rotations of your tires and calculates the speed based on the tire circumference. The phone app works using the GPS in your phone and is accurate within 1-2 miles per hour. The Trailtech model I purchased uses a similar speed mechanism as the bike speedometer but also connects to the ATV computer to track RPMs. When you get stuck, which your inevitably will, you will either need a winch or a tow strap. A tow strap is the much cheaper of the two options, which most people opt for. 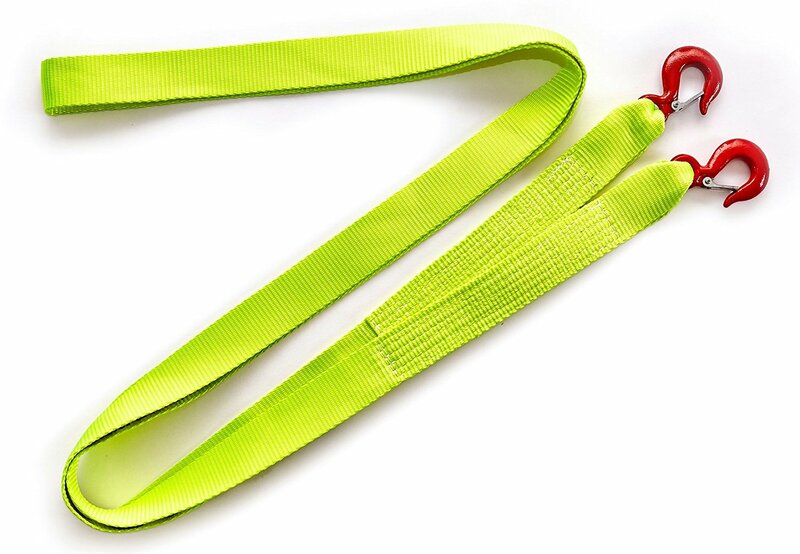 If you have a friend with a four wheeler or a vehicle with 4wd, you can use the strap to pull your ATV out of trouble. There are a many options available for weight ratings and lengths, but you really only need one or two straps to be covered for most circumstances. Choose a weight rating that is at least 4 times to dry weight of your ATV. This will ensure it will hold up when it is loaded with accessories, gas and your body weight. Also choose a length over 20 feet, to provide enough slack so that the tow vehicle can find solid ground. Worst case, you can connect two straps together. You can see our favorite below. 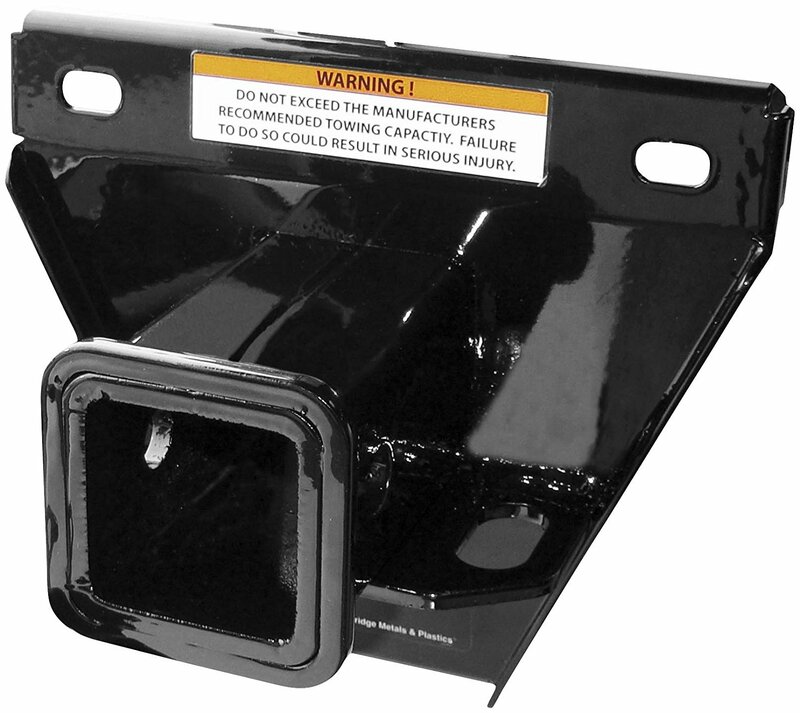 A trailer hitch can be a huge benefit when using an ATV around large property or when carrying heavy loads. Excessive weight on the suspension of an ATV can cause sagging and damage to the axle and plastics. A trailer hitch shifts that weight behind the vehicle and allows the motor to handle the weight. Some ATVs are large enough to fit a trailer hitch, but most will only work with a modified trailer ball which connects directly to the rear differential. More expensive models may come with the hitch or ball already attached from the factory, but that option is limited. More than likely you will have to purchase an aftermarket set up for your ATV. When you are stuck, there is no better friend then your winch to give you a helping hand. I speak from experience…Last year I got my Grizzly stuck in some mud about 2 miles from my house. Rather than walking home to get my truck, I was able to connect my winch cable to a tree and winch my way out of the mud. Instead of a 30 minute walk in the wood, I was free in 10 minutes. 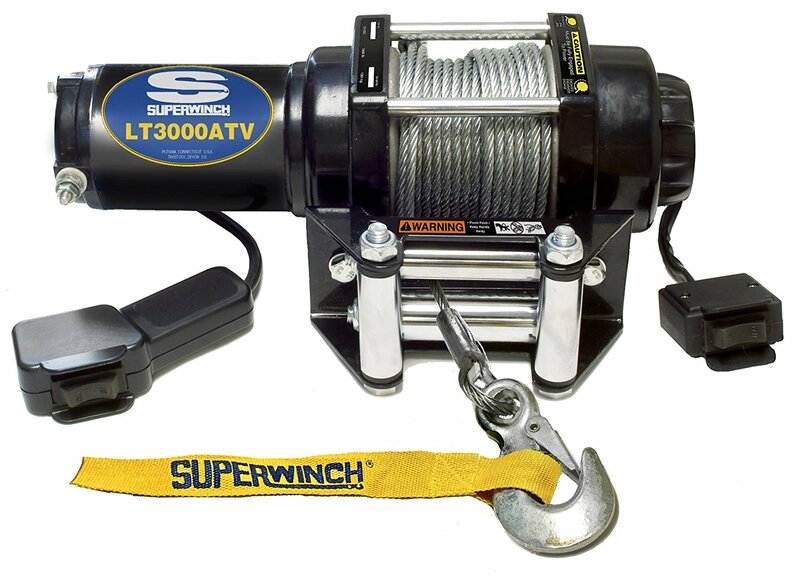 Your typical ATV ready winch is rated around 3000 lbs however I have seen them from 2000 to 5000 lbs depending on the size and weight of your ATV. The winch is most commonly attached at the front of your quad, behind the push bar or front bumper. You’ll find that most utility model four wheelers come with a winch plate, or atleast an attachment point. If yours doesn’t, it is quite simple and easy to find a premade one on eBay. If you have access to a welder and are pretty handy, you can build one yourself uses a few steel plates and a drill. These are our favorites.